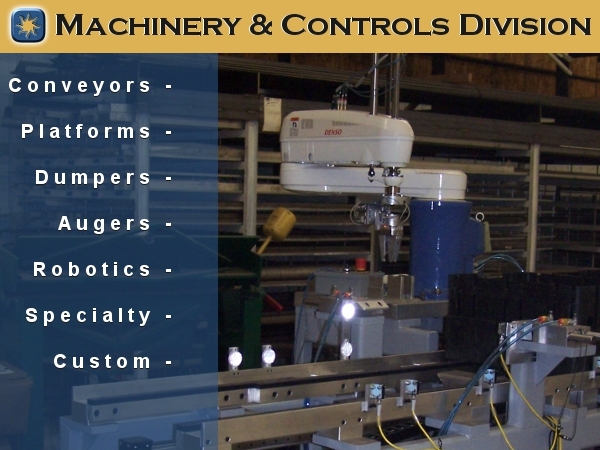 Our Machinery and Controls Division provides custom equipment services to our valued customers. Our services provide the design and control of automated machinery including concept designs for improving processes, synchronized conveying lines, weighing and counting stations, quality control stations, recipe systems, packing and palletizing, human machine interfacing (HMI), plus supervisory control and data acquisition (SCADA) systems. Tip Up Conveyor - Providing safe access for personnel, product, supplies, and service equipment.